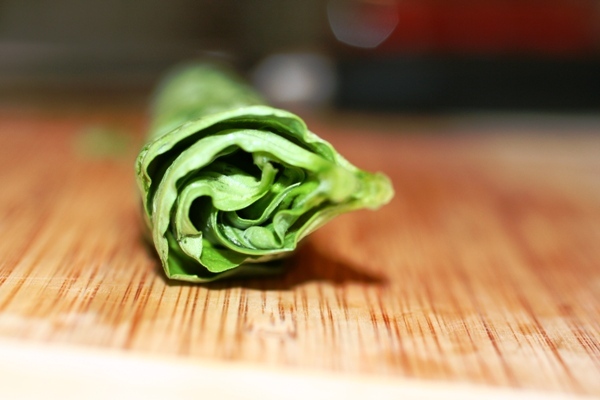 Chiffonade is a technique used to cut leafy vegetables and herbs into slender ribbons. I use this most often with basil, and it makes for a very pretty dish. 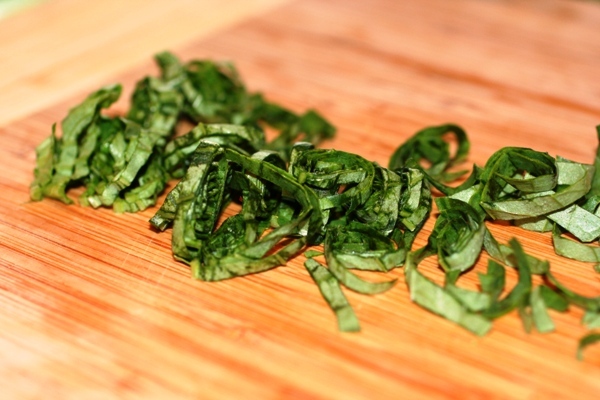 Here is a step by step guide on How to Chiffonade. Stack leaves on top of each other on a cutting board, about 5-8. Roll the stack up tightly. Hold it horizontally on the board with one hand. Hold the stack with one hand, and the knife with another. 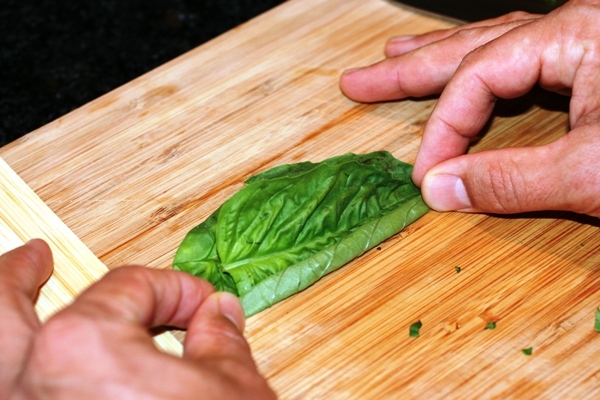 Set the tip of the blade down and “roll” the blade down on the basil roll. Cutting in very thin slices,. 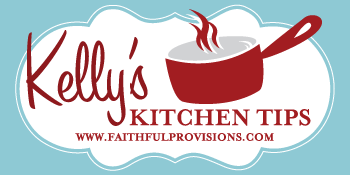 creating thin “ribbons”. 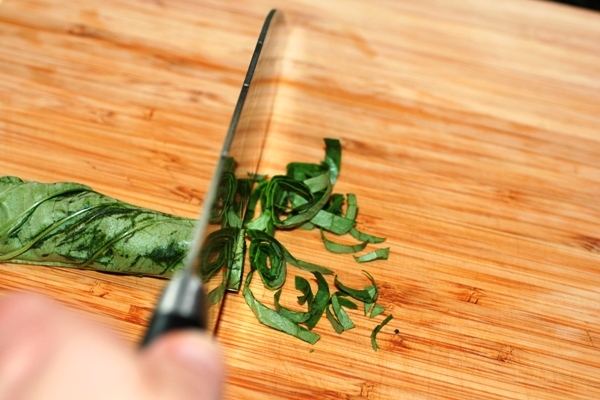 There you have it, How to Chiffonade. Brilliant technique! I’ve done some thing similar, but this is far better. Thanks!